The Nintendo VR Labo Kit is a clever new way to enjoy VR on a budget. 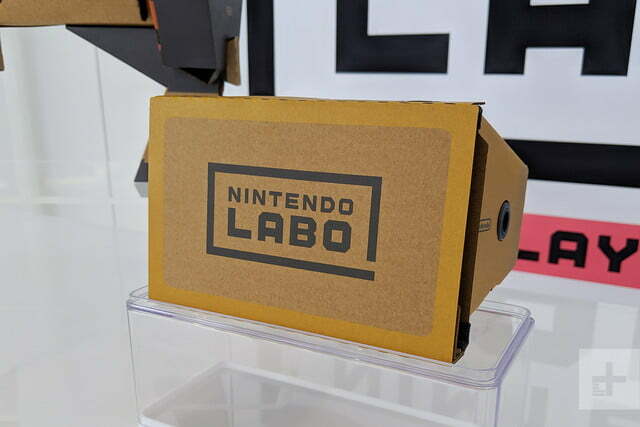 When Nintendo first announced its Labo VR Kit, it was met with a mixed response. While a modern VR headset from Nintendo seemed like a possibility, no one expected that it would arrive in the shape of a cardboard gaming peripheral. Yet it does make a crazy kind of sense. The Labo VR kit is the perfect introduction to virtual reality a Nintendo Switch owner would love. It combines the company’s existing system and its DIY Labo kits to bring an experience that’s creative, welcoming, family-friendly, and affordable. Nintendo’s VR Goggles, paired up with any of the five Toy-Cons, are unlike anything I’ve ever seen. A Blaster, Bird, Elephant, Camera, and Wind Pedal decorate the lineup, and at first glance, the carefully assembled cardboard origami looks like something you’d make in a fourth-grade art class. During my preview of the Labo VR kit, I played a variety of VR games that used the Toy-Cons as fundamental parts of the experience. The Blaster was my gun in an on-rails alien shooter. The Elephant’s trunk took the role of my brush in a 3D art studio. I flapped the Bird’s wings while flying through the air in search of food for my chicks. 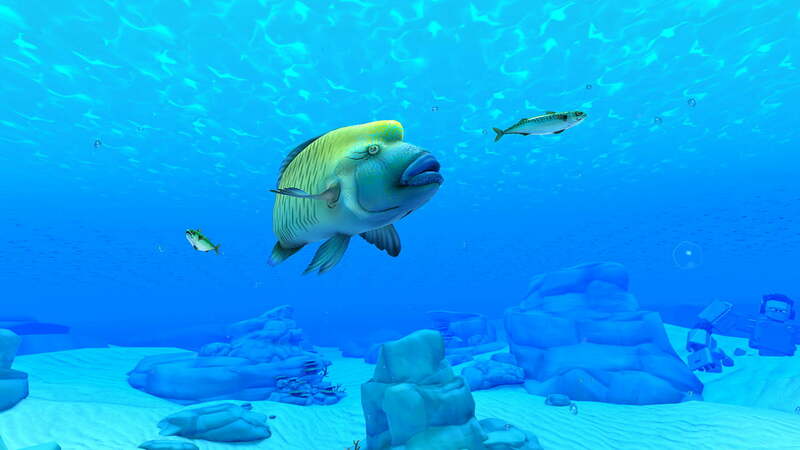 And I used the Camera to snap photos of fish deep down in the depths of the sea. Nintendo’s VR Goggles work much like Google Cardboard. The only difference is you’ll be sliding your Nintendo Switch in front of the lenses instead of a smartphone. 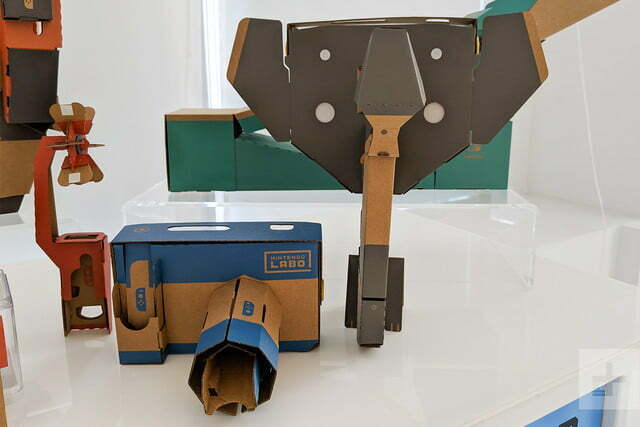 The advantage the VR Labo kit has over Google’s cardboard headset, though, is in its approach to creating a more immersive experience. Its image quality can’t possibly compare to an Oculus Rift, but Nintendo’s Toy-Cons compensate for that with their own unique hooks. 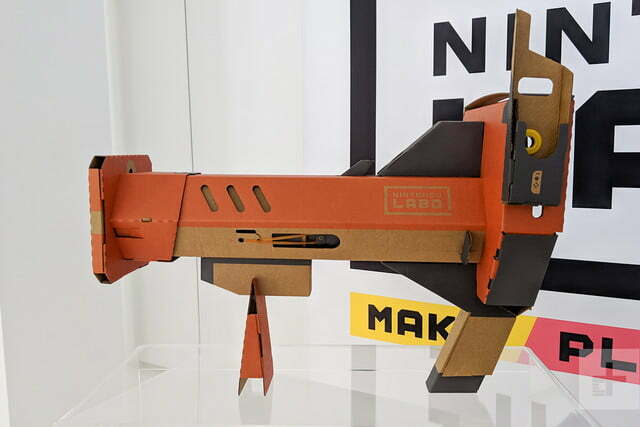 The Labo VR kit includes six items. The VR Goggles, Toy-Con Bird, Toy-Con Elephant, Toy-Con Camera, and Toy-Con Wind Pedal. Playing the games using the VR Googles paired with the Toy-Cons — the cardboard creations seen in the trailer attached to the headset — brings these items to life. My first (and favorite) game used the Toy-Con Blaster. While holding the blaster like a bazooka, I positioned the viewing ports in front of my face. Inside I found a city crawling with squid-like aliens that resembled looked straight out of Splatoon. With my left hand, I pulled back on the sliding mechanism at the bottom of the Blaster and heard a distinctive click. I pulled the trigger and fired a bullet right at an inky alien scaling the side of a building. It exploded with a satisfying splat. I was instantly hooked. Left, right, up, down, and sideways I turned, using the Blaster like a pump-action shotgun. At times I had to continuously pump the Blaster for it to register a reload, which was frustrating in the fast-paced levels, but it wasn’t enough to spoil the fun. The game had three levels, each with a set number of enemies that I had to try to eliminate. In the end, my score was an embarrassing 78 percent. I’ll blame that on the Blaster’s sometimes unreliable controls. I fired a bullet right at an inky alien scaling the side of a building, and it exploded with a satisfying splat. Next up was the Bird Toy-Con, and I couldn’t help but chuckle at the thought of sticking my face into its behind. But in my face went. I firmly grasped the handles beneath its wings and started to squeeze. With each squeeze, the wings of the bird in the game flapped. Looking up, down, and sideways allowed me to steer the bird in the direction I wanted to fly. The world was sunny and filled with grassy fields, mountains, and a sapphire blue ocean. My goal was to find all the nests inhabited by eggs that would hatch baby birds. Each baby bird requested a different type of food in a specific amount, so off I went in search of apples, bumble bees, and fish, among other things. Once I collected the items, I flew back, and straight into the mouth of the baby bird the food went. Before I knew it, the chick was fully grown, and I had a new member in my flock. It was novel, but I had a couple of qualms I had. Holding up the Bird Toy-Con and squeezing the grips repeatedly to fly became tiring quick. I found myself fumbling around with the device, trying to find a more comfortable way to hold it. Even after assistance from a Nintendo employee, my arms burned with unholy fury, and I needed to put it down after about 10 minutes of play. This was made worse by the fact that the bird flew painstakingly slow. Even after squeezing the grips like a mad woman to get it to go faster, it continued to doddle at a leisurely pace. 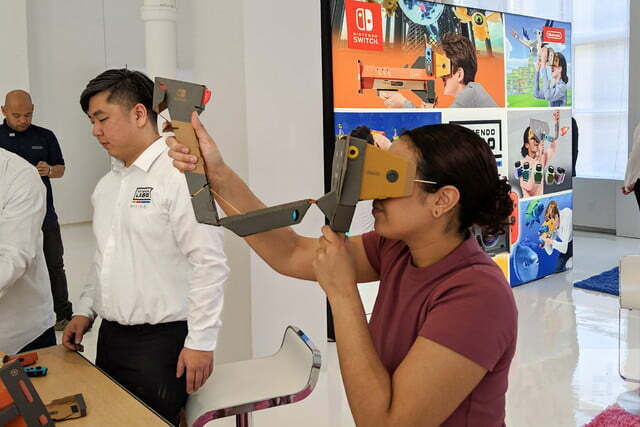 While my favorite experience was with the Toy-Con Blaster, the Toy-Con Camera reinforced my positive first impressions of the Nintendo Labo VR kit. Its sturdy construction immediately impressed me. The lens could be turned to zoom in and out, and a joy-con was cleverly positioned on the top right so I could use my index finger to snap pictures. Through the viewing port was an ocean filled with all kinds of fish. I was warned that a shark liked to occasionally swim by, though it was harmless. My mission? Take three snapshots of each fish. Easy enough. A swordfish swam by. I zoomed in, clicked the button, and the snapshot was taken. I did it three more times. Once finished, the pictures were displayed to me, and I could check off the ones I wanted to add to my album. Back in the ocean, I discovered that by looking down the game allowed me to sink deeper. The ocean became dark and shadows of large fish bounced off rocks as a cute version of an Anglerfish swam by. Memories of Pokemon Snap came to mind, and excitement hit me like a thunderbolt. Memories of Pokemon Snap came to mind, and excitement hit me like a thunderbolt. 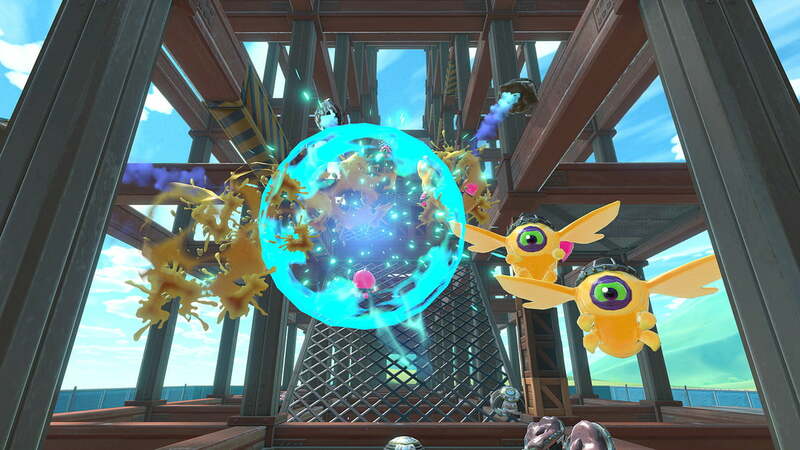 What if these Toy-Cons are paving the path for experiences like Pokemon Snap and Splatoon VR? The Toy-Cons could easily be used for so much more. There were more experiences, each quirky but fun in its own way. 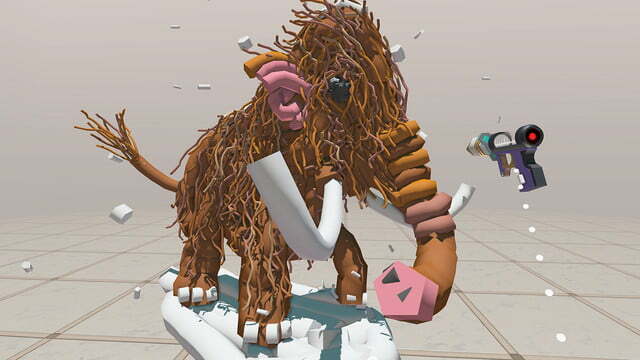 “Doodle” used the trunk of the Toy-Con Elephant as a paintbrush, placing me into a big empty room with an assortment of tools that I could use to express myself artistically and create (hideous) 3D masterpieces. “Hop Dodge” used the Wind Pedal, which transformed me into a frog that jumped to avoid a barrage of balls from circus bears. I’d use my foot to press down on the pedal each time I wanted to jump and a gust of refreshing cool air would blow up into my face, adding to the immersion. 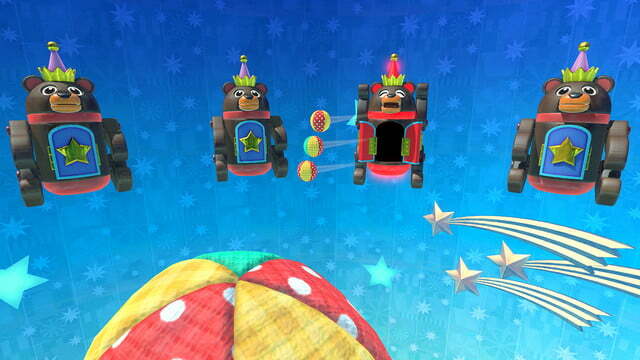 Each time a level was completed, I would move higher into the atmosphere where the attacks would get harder to avoid. Not every game needs to be enjoyed using a Toy-Con, however. I also saw VR Plaza, a compilation of 64 snack-sized games that can be played with just the VR Goggles. 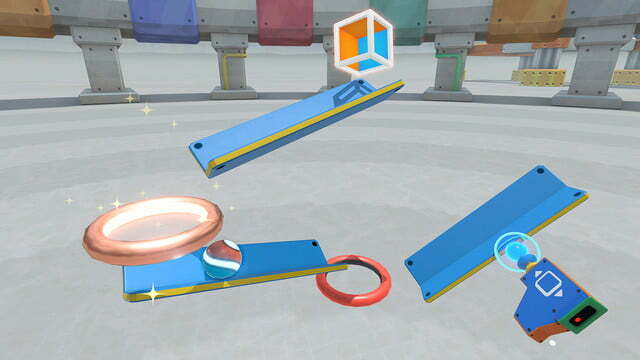 The Nintendo Labo VR Kit also comes with Garage VR, a tool that can be used to create your own games. It was even used to create all the games in VR Plaza. The option to play in 2D is available for those who have physical aversions to virtual reality, and that’s the icing on the Nintendo Labo VR Kit cake. I had reservations about Nintendo’s jump into VR. Though Nintendo has never been the company to try to follow trends, it has fumbled in the past when it comes to creating products that appeal to a broader fan-base. 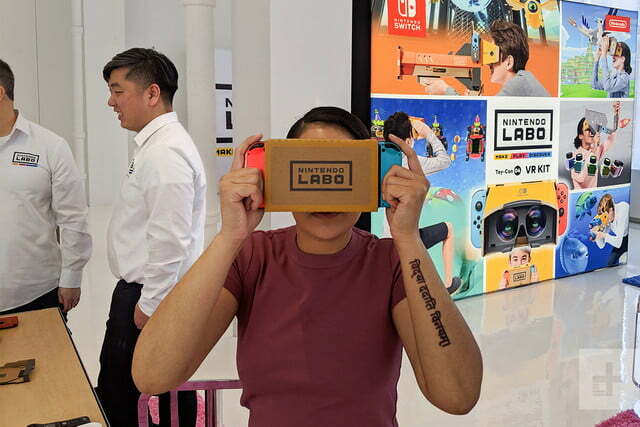 Nintendo Labo VR seemed like it could’ve been one of those products, but if my short time with it is anything to go by, it seems like a complimentary addition to the Nintendo Switch with tremendous potential for the future. You won’t spend hours upon hours playing it, but it’s a fun gadget with a lot of potential. The entire Nintendo Labo VR Kit will be available on April 12 for $79.99 and comes with all six of the Toy-Con accessories. There will also be a Starter kit for $39.99 that comes with the VR Goggles and Blaster, as well as two expansion sets that come with the Elephant and Camera Toy-Cons, or the Bird and Wind Pedal Toy-Cons, for $19.99 each. It’s all quite affordable, at least compared to other VR headsets, which is part of the appeal. 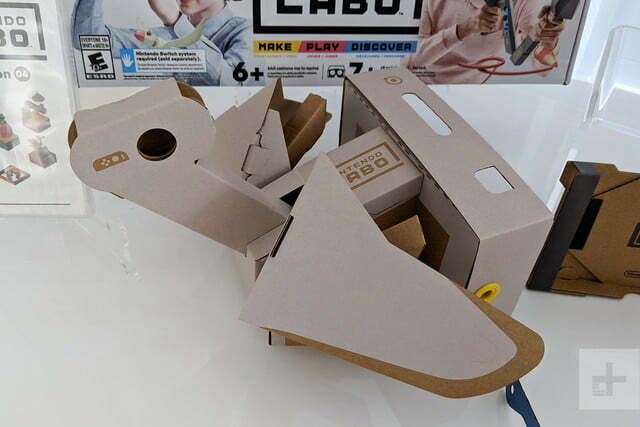 The Labo VR Kit could be the gateway drug for gamers who are curious about VR but don’t want to take a $400 plunge.